Whether your summer reading takes place sprawled out on a beach blanket or en route to a far-flung locale, some downtime with a good book is the ultimate exercise in leisure. There's plenty of literature out there to enlighten your mind while you kick back this summer, but for inspiration to mix up new drinks, check out these recently released tomes. Best to read them with a cocktail (or beverage of your choice) in hand. 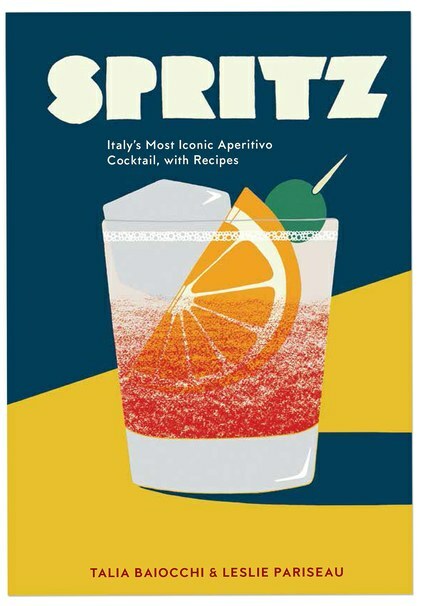 Spritz by Talia Baiocchi and Leslie Pariseau Baiocchi and Pariseau give a full breakdown of Italy's bitter and effervescent aperitif, made a home bar staple in recent years with the Aperol Spritz. Their envy-inducing research takes them from Venice to Turin to find variations of the category, which typically combines a sparkling wine and/or soda with a bitter liqueur for a low-alcohol pre-dinner sipper. Try one of dozens of recipes perfect for those warm summer evenings when you want to slow down and soak up the moment. Ten Speed Press, $18.99. Smuggler's Cove: Exotic Cocktails, Rum, and the Cult of Tiki by Martin and Rebecca Cate Some day I'll tell my grandchildren how lucky I was to live in a time when tiki drinks were no longer a fad, but a respectable and adored cornerstone of cocktail kitsch and culture. Since opening in 2009, Cate's San Francisco shrine to rum, Smuggler's Cove, has become an icon of the category's revival. Here, Cate and his wife, Rebecca, offer more than 100 original and traditional recipes, a heavy dose of tiki and rum history, and a loving guide to living your own Polynesian fantasy. Ten Speed Press, $30. The Waldorf Astoria Bar Book by Frank Caifa While the future is uncertain for the bar and restaurant program at the Waldorf Astoria in light of recent news that most of the iconic institution will become condos, the historic beverage program is sure to live on in Caifa's new edition of a rare bar guide. Based on two classic cocktail books by Albert Stevens Crockett, 1931 Old Waldorf Bar Days and The Old Waldorf-Astoria Bar Book (originally published in 1934), Caifa, who has managed the hotel's Peacock Alley bar since 2005, has updated the bar bible for modern times. Sift through this impressive compendium of 800 recipes—a mix of refined pre-Prohibition classics, celebrity favorites, and Caifa's own originals—for a taste of New York's spirited past, present, and future. Penguin Books, $25.